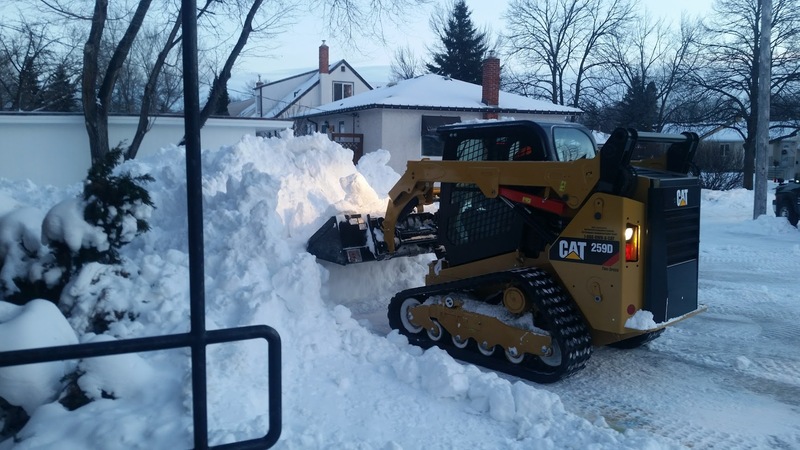 Terrace Snow Removal Clearing A Residential Property Of Snow. 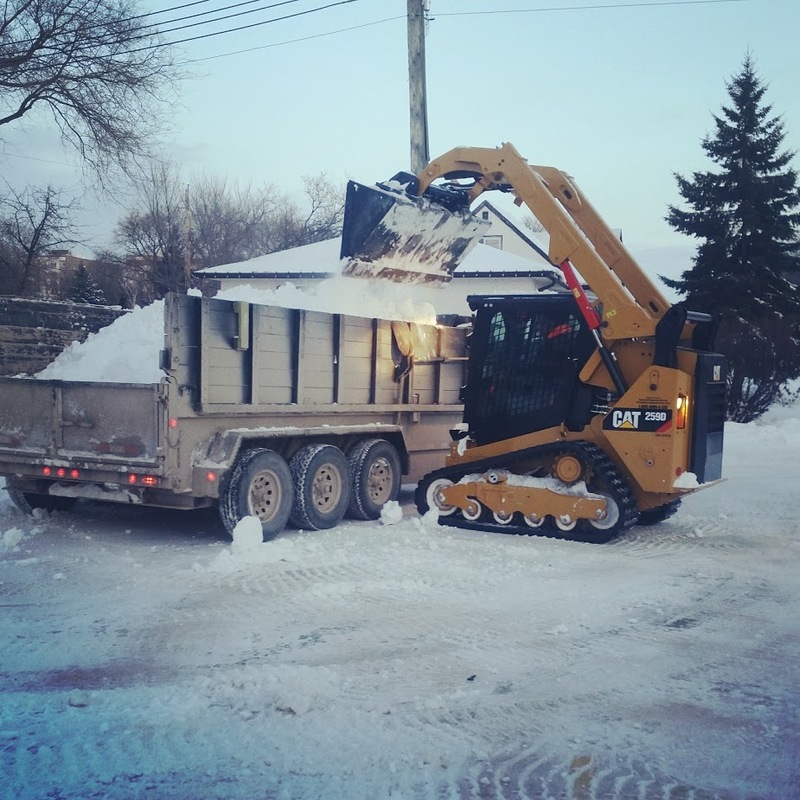 Snow Removal and Hauling Winnipeg, MB. 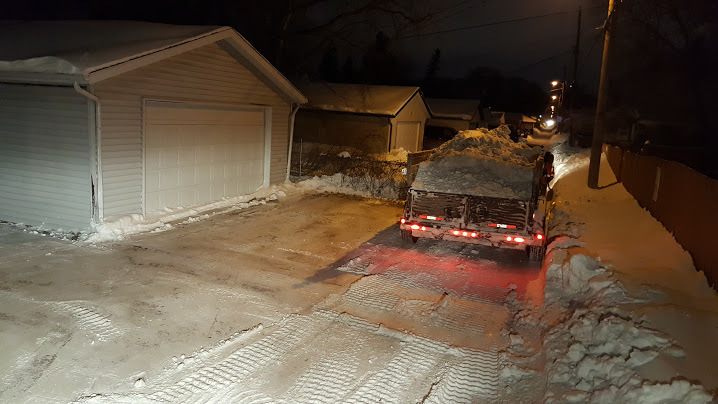 We specialize in snow removal and hauling. 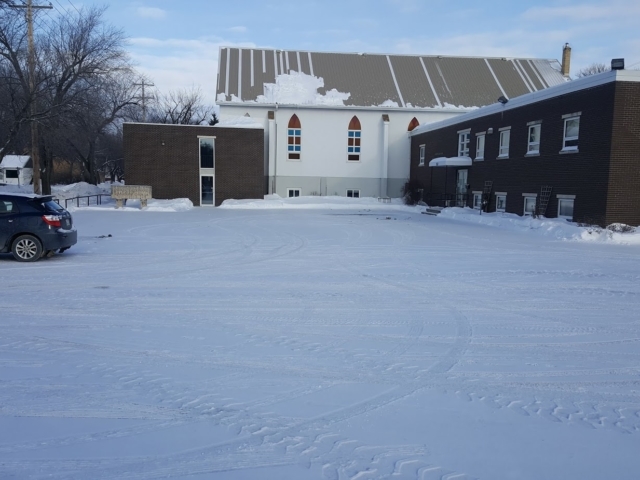 When the snow starts coming down in our area of the country it can accumulate very quickly and start to cause logistical problems. 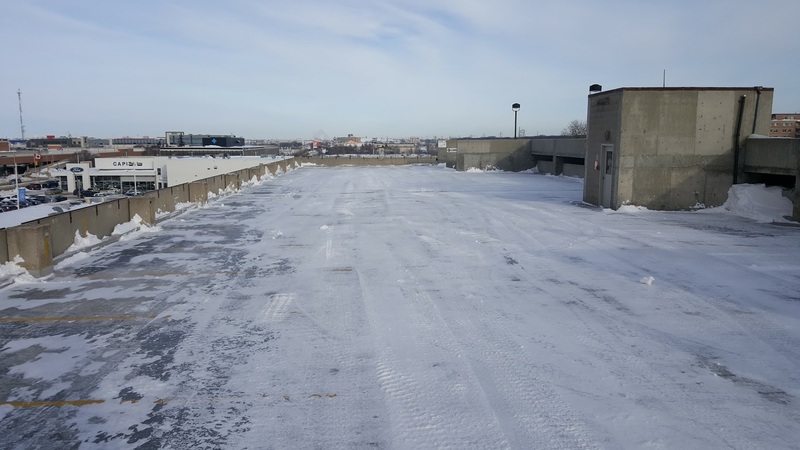 Simply shoveling or plowing the snow aside will only work for so long and then you’ll be running short on space. 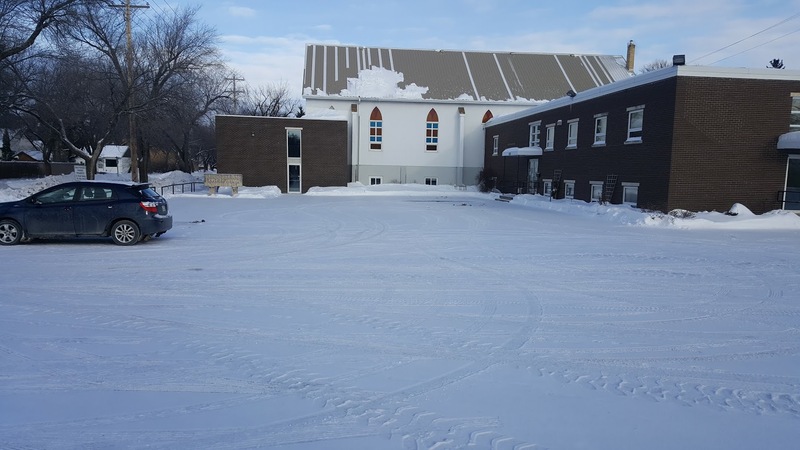 With snow being so unpredictable a reliable snow removal service is worth their weight in gold and can help keep your driveways and parking areas safe and clear. 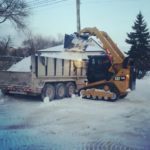 Terrace Snow Removal is a snow removal company based out of Winnipeg, MB and serving the surrounding area. 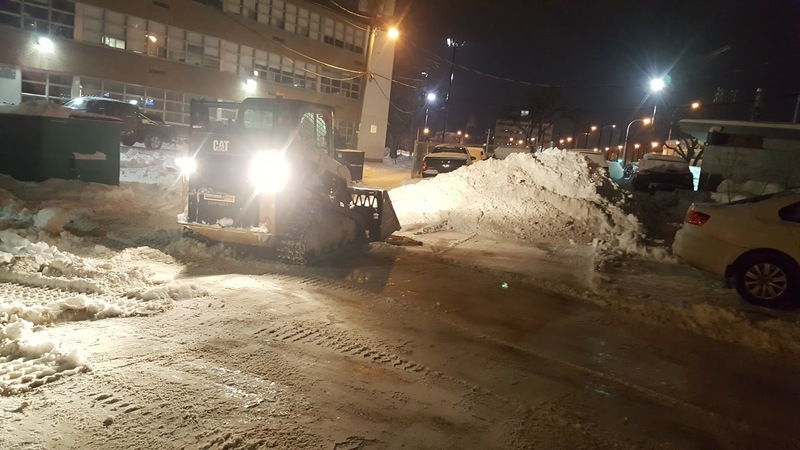 We specialize in residential and commercial snow removal and hauling services. 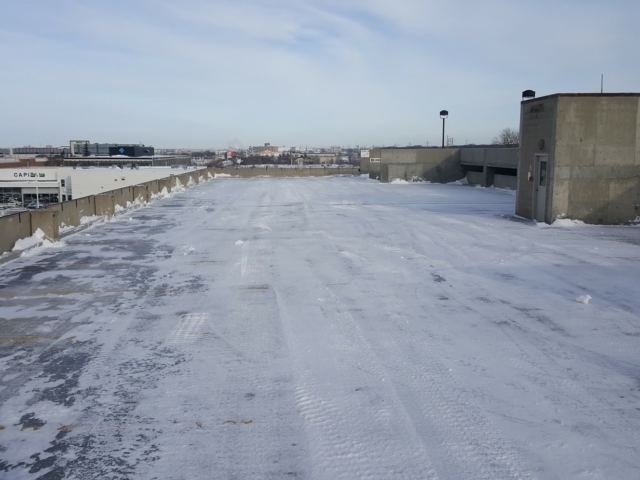 If you need to have the snow removed from your commercial parking lot or your private driveway we offer snow removal and hauling services 24 hours a day. 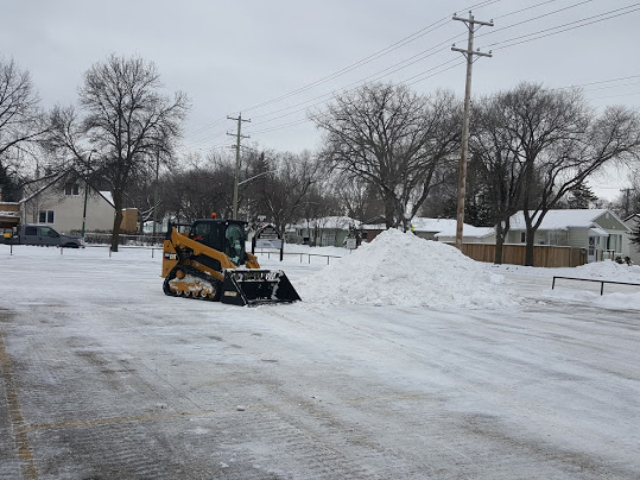 Our fleet of trucks mounted with snow plows, our skid-steers and our dumping trailers are ready to roll. 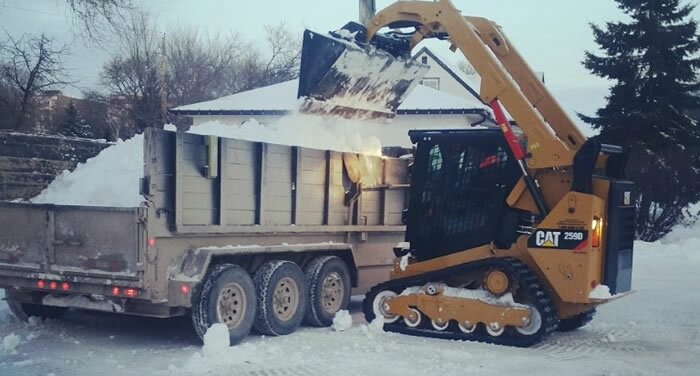 Our dumping trailers can haul away up to 24 yards of your snow per-trip. Price: The cheapest price doesn’t guarantee you’re going to be getting reliable service, sometimes they might not even show up when you need them! 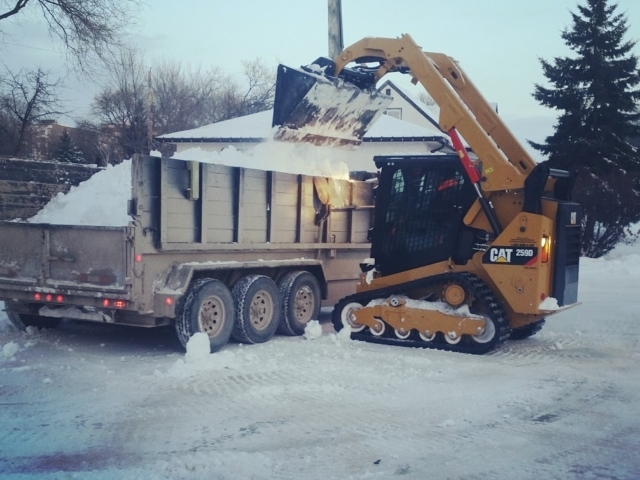 With the cost of fuel, labour and equipment snow removal isn’t an easy business to run. 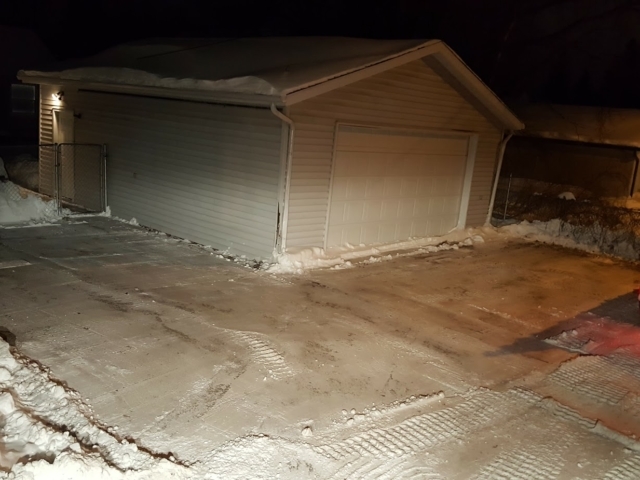 It’s very common for us to be contacted by customers during the busy months who’ve gotten the run-around from another company, often paying for services that were never rendered as promised and the property owner is left with a driveway or parking lot full of snow and nobody to remove it. 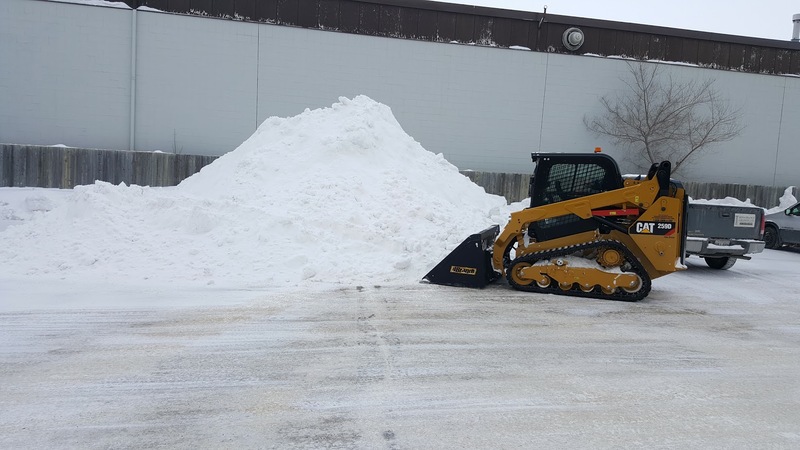 Equipment Reliability: Hiring a snow removal company that only has 1 truck or 1 piece of equipment could spell disaster for your property when the snow starts to fall. What if they have a breakdown? 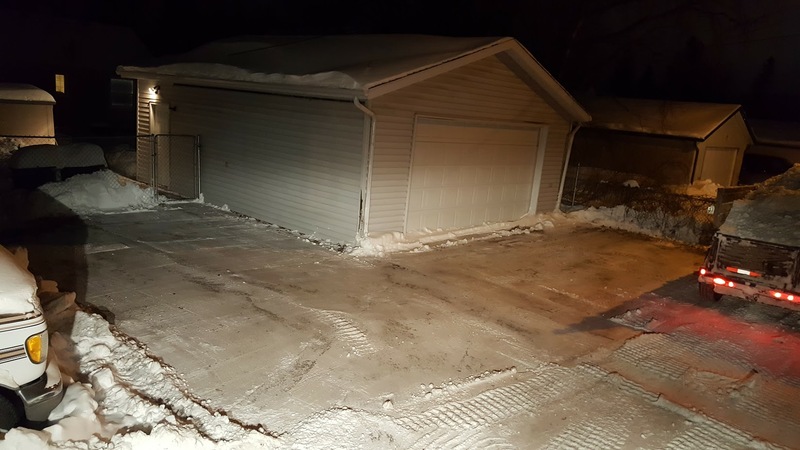 How about in your driveway? It’s happened before! 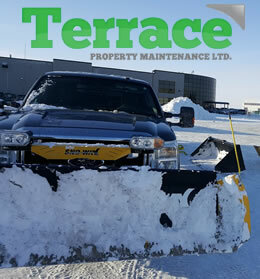 Terrace Snow Removal runs a small fleet of new, reliable heavy duty pick-up trucks that are nimble enough to work in most small to medium parking lots with easy. 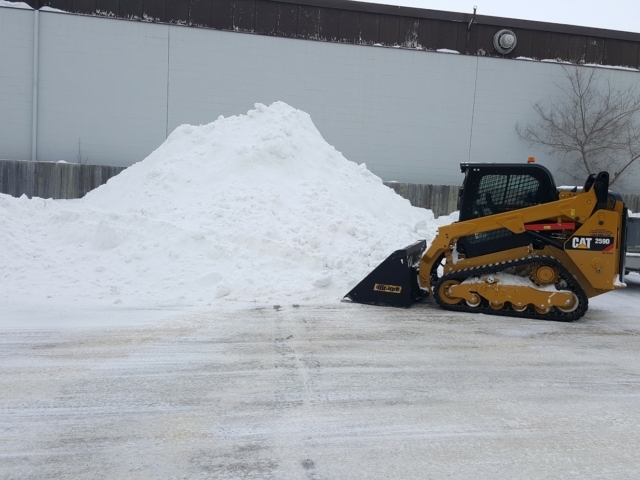 We own and operate newer skid-steers as well as a fleet of our heavy-duty, high capacity dump trailers for hauling all of the snow. 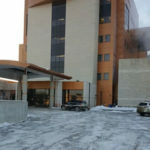 Service Reliability: Having reliable equipment is one thing, being able to service your clientele when they need you the most can be challenging. 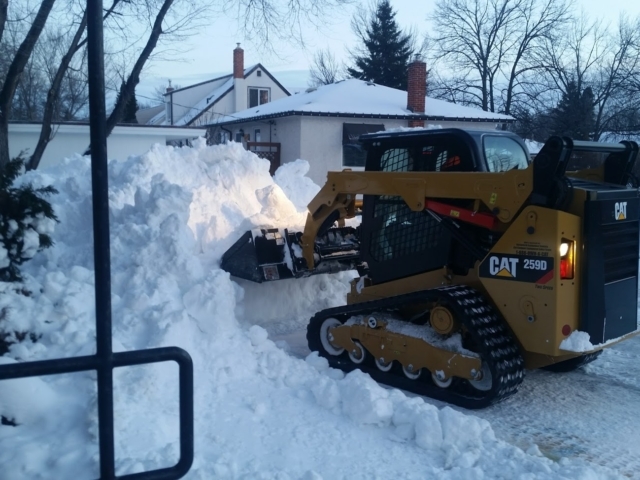 There are many snow removal companies signing up as many customers as they possibly can. Taking large retainers and making big promises and then when the snow storm hits they are nowhere to be found. 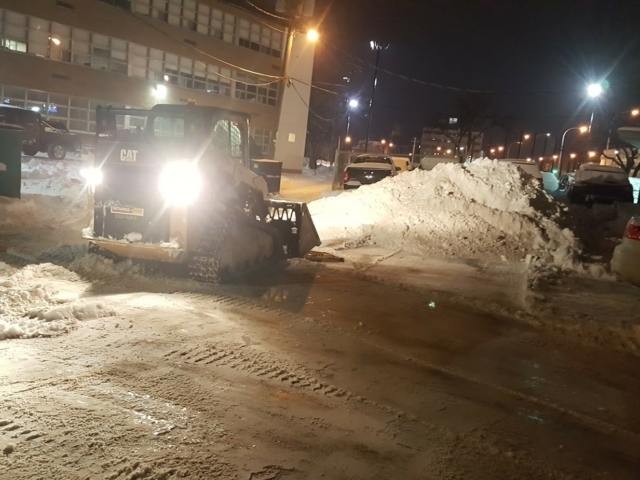 The team at Terrace Snow Removal springs into action with as little as 2cm of snow accumulation and when it’s busy our crews operate 24/7. 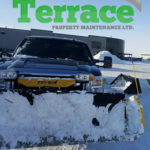 Why Choose Terrace Snow Removal For Your Snow Clearing Needs in Winnipeg, MB? 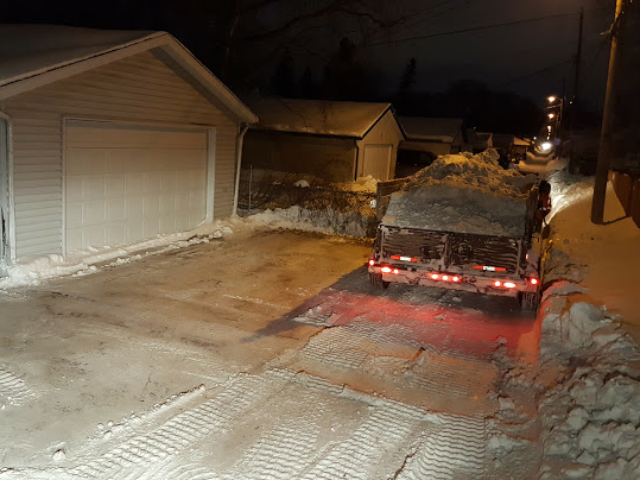 When you choose Terrace Snow Removal to provide your snow removal and hauling services in Winnipeg you are partnering with a team of professionals who will care for and maintain your property as if it were our own. You can count on great communication, safe and reliable service around the clock, and fair prices. Our team takes great pride in the work we do and we listen to the needs of each and every customer as no two properties are alike and we want to make sure you are happy with our services! 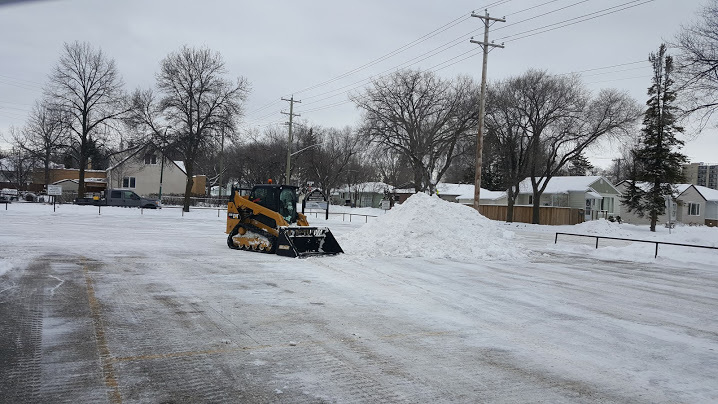 If you’d like to receive an estimate for Snow Removal or Plowing Services please give us a call (204) 202-3444 or send us an email through our contact form and we’ll get right back to you.